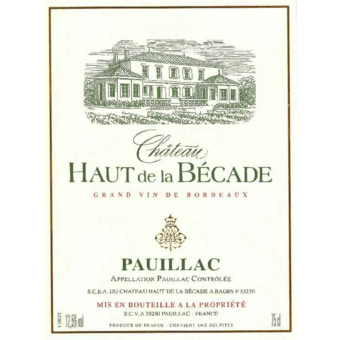 This family property is a magnificent Graves terroir in the heart of Bages hamlet south of the town of Pauillac. Located in the village of Bages overlooking the estuary, the Chateau Top of Bécade is a family property whose origins are transmitted plots for 6 or 7 generations. Manual harvesting. Winemaking concrete vats coated epoxy. Total de-stemming the grapes, traditional wine of the Medoc. Fermentation 3 weeks minimum, pumping over 2 times per day during alcoholic fermentation. Fermentation temperatures between 28 and 30 ° C. Aged in oak casks for 18-20 months, then bottled. 35% Merlot, 60% Cabernet Sauvignon, 5% Cabernet Franc This family property is a magnificent Graves terroir located in the locality Bages south of the town of Pauillac. 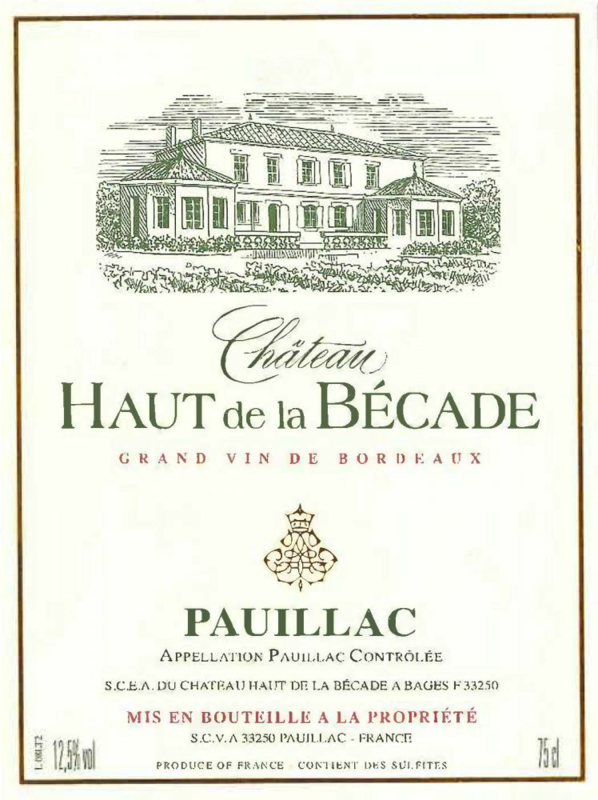 The vines of Bécade adjoin Lynch Bages and Bages Croizet. .Matured for 12 months in oak barrels.